With Clermont Balloon Rides, be prepared to have an adventure of a lifetime! 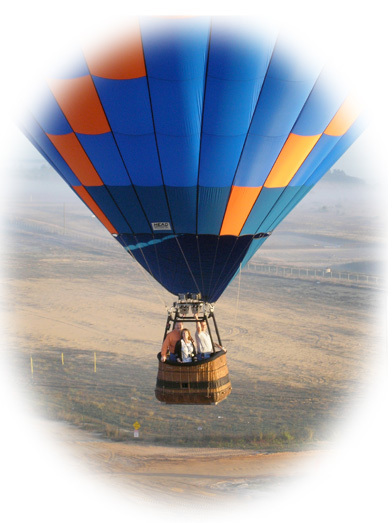 Clermont Balloon Rides offers sunrise hot air balloon rides seven days a week “weather permitting”. Your safety is in good hands with our “hand picked” experienced pilots. We have a 100% safety record and are very proud of that accomplishment. After landing and pack-up, a champagne toast with the Balloonist’s Toast will be enjoyed by all. If you are on vacation, local hotel recommendations are available for your Orlando hot air balloon ride. Clermont also has very nice hotels to stay at if you want to be away from the hustle and bustle of “city” life. Riding in a hot air balloon with our entertaining pilots over the beautiful landscape will create a lifelong memory. Gift certificates are available, which are great ideas for Christmas, birthdays and anniversaries. This allows the person flying to pick their special day. Why wait too long to start scratching things off your bucket list?? Call now with any questions or to make reservations!